This style of sunglasses has taken the eyewear world by storm recently and it seems that every celeb is wearing them, from Selena Gomez and Bella Hadid to Poppy Delevingne and Tanya Burr. Well, it looks like Kate Hudson has taken note of this hot new trend too. Just a few days ago, the stylish celeb shared a snap of herself wearing a pair of this latest lust-worthy sunglasses style. Maybe she read our post? If you’re looking for even more summer style inspiration, let’s find out more about Kate’s cool eyewear look. Kate showed off her stylish new look in this selfie that she shared with her Instagram followers last week. And if her sunglasses weren’t enough to make you jealous, it looks like she’s sunning herself in gorgeous Hawaii. Relaxing on a sun lounger, Kate wore a classic white bikini and some statement jewellery with her round aviator shades. 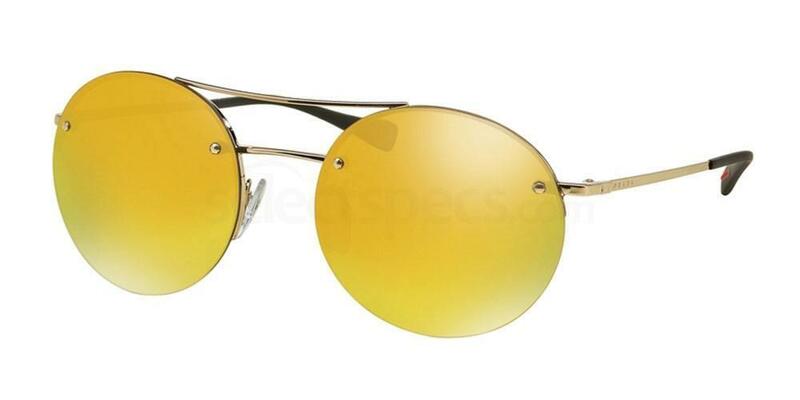 The sunglasses in question feature simple rimless rounded frames in modern metal and are finished with mirrored lenses in a unique shade of yellow. We’re not sure where Kate’s fab frames are from, but if you want to get the look we have an almost identical alternative. The PS 54RS Prada Linea Rossa sunglasses are a perfect example of the round aviator trend, with circular frames and metal brow bar detail. 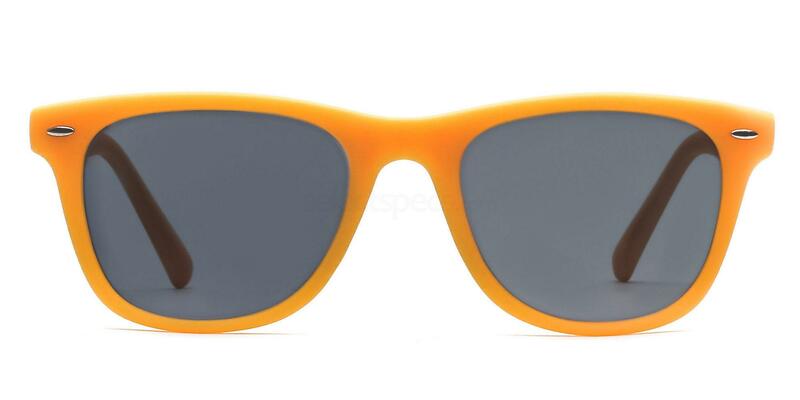 They’re available in a wide choice of colours including light blue, pale pink, orange and grey, but this yellow version is the closest match to Kate Hudson’s shades. Get them online at SelectSpecs. It wasn’t just Kate that was rocking a pair of fashion-forward frames though. As you can see, her celeb mum Goldie Hawn joined her in Hawaii (and her Instagram snap) and almost stole the show with her own sunglasses. On close inspection, we can confirm that Goldie is wearing another of SS16 most popular eyewear trends; a pair of clear-framed sunglasses. 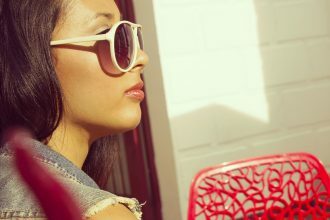 Clear sunglases have a fashionable futuristic look and are so easy to wear; after all, they go with everything. Goldie’s style of choice are a classic wayfarer shades which have been given a contemporary update with transparent plastic frames. Teaming her sunglasses with a simple black swimsuit, we think you’ll agree that she’s one of the most stylish mums around. Get the Goldie Hawn look with the Levi’s Eyewear LO22461 sunglasses which are available online at SelectSpecs. 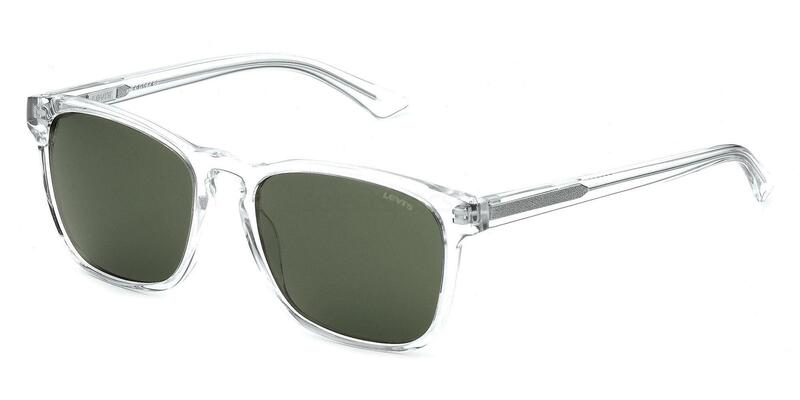 They feature a simple square shape with green smoke lenses and crystal clear frames. This isn’t the first time we’ve reported on Kate’s yellow shades – late last year while most of us were shivering in our winter coats and doing our best to stay warm, Kate Hudson didn’t seem to be having this problem. The Hollywood star and owner of Fabletics active wear recently shared this snap of herself having fun in the sun, watering her garden in a very colourful ensemble. Kate wore a simple mismatched bikini consisting of a peachy triangle top and tiny turquoise bottoms, but what really caught our attention, once again, were her fabulous yellow sunglasses. Yellow is a daring colour choice for eyewear, but Kate is more than pulling it off – in fact, she looks amazing. Her style of choice features what look to be plastic yellow frames with round lenses for a futuristic look. Kate captioned the photo “Morning kids! I’ll be right in to make pancakes after I water this lawn!” proving that she’s one cool (and stylish) momma. There’s further proof a yellow eye-ccatching pair of shades must be one of Kate’s favourite styles when a few weeks before this, she shared a photo of her wearing the exact same pair, this time with another cute and colourful bikini. Relaxing on a boat trip with her son Ryder, she showed off a Triangl Patti bikini and added a cute finishing touch with her yellow sunglasses. If you’re anything like us, these photos are probably making you a little jealous for two reasons. Firstly, the fact that Kate gets to chill out in the sunshine and secondly, that she looks so good doing it – she’s obviously been working hard in the gym! While we can’t promise you great weather and a killer body like Kate’s (sorry! ), we can show you how to copy her look. Kate’s style is so simple to achieve; just find the brightest miss-matched bikini top and bottoms you can and then pair them with a sunny pair of yellow shades for a fun and easy-going vibe. With so many different colours going on, you can go easy on the accessories or leave them out all together like Kate. If you’re loving this look, we’ve got some more great yellow shades to choose from at Select Specs that will add a little sunshine to your day. Take a look at our three favourite pairs. Firstly, we have one of our all-time favourite styles, the Savannah 8121 sunglasses. This versatile frame is available in a range of materials and colours, but to copy Kate’s look, we love these yellow rubber shades which are finished in canary yellow with grey tinted frames. 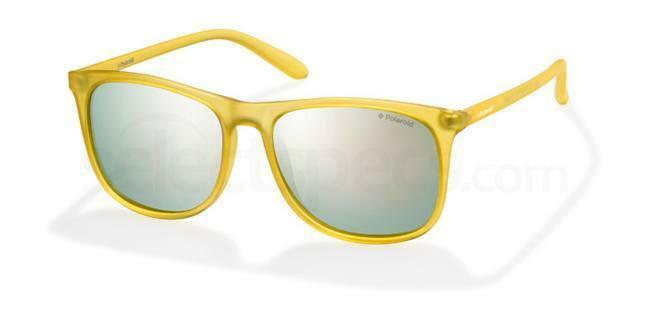 Yellow shades don’t get much cooler than this pair from Polaroid. The PLD 6002/S sunglasses have translucent yellow frames and a classic Wayfarer shape. Enough said. Finally, for a slightly different but equally as sunny look, we’ve chosen the Ray-Ban RB3025. If yellow frames are a little too out there for you, these gorgeous specs are a subtle take on the trend. 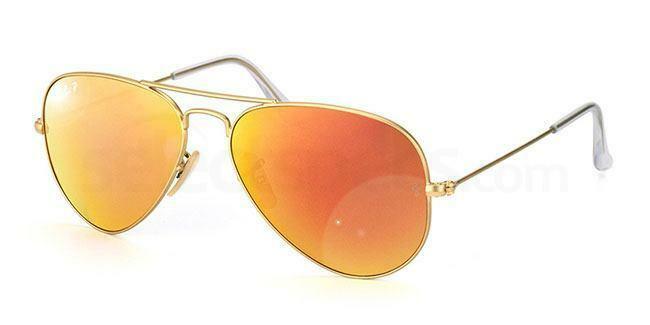 The orange and yellow polarised lenses teamed with matt gold frames will give you a warm glow while the classic aviator style suits every face shape. So, which celebrity-inspired eyewear trend will you be trying out this summer? The round aviator or the clear-framed shades? Let us know your favourite look in the comments below or tweet us @SelectSpecs! 5 essential sunglasses styles every woman should own here.